(Seychelles News Agency) - Kenya Airways will begin daily flights to Seychelles as of February 6, the Seychelles Tourism Board said Thursday, increasing its flight frequency to the island nation by 40 percent. The airline, which is the national carrier of Kenya, is currently flying to the Seychelles, a 115-island archipelago in the western Indian Ocean, five times per week from Nairobi, the capital city. 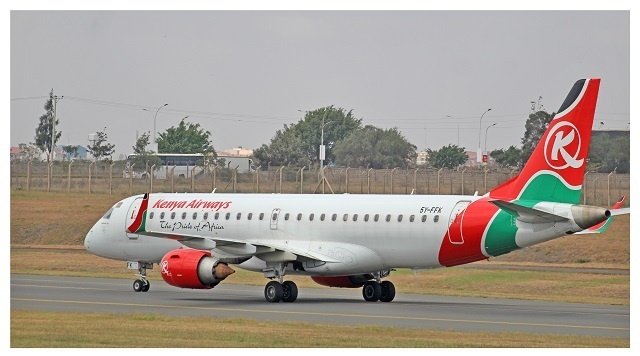 Visitors using Kenya Airways or choosing to fly to the island nation via Kenya will now have more and shorter options for transits instead of long waits at the Jomo Kenyatta International Airport. The daily flights from Nairobi will add to the accessibility of Seychelles as a destination. This new development on the regional aviation scene is seen as a great milestone for the local tourism industry, the main contributor to the Seychelles’ economy. The Chief Executive of the Seychelles Tourism Board (STB), Sherin Francis, said the increase in the frequency of flights by the airline is a very interesting development for Seychelles’ tourism. “The seven-days direct flights would definitely make Seychelles more accessible to a few of our important markets such as the North American market,” said Francis. Kenya Airways has been flying to Seychelles for the past 41 years without any interruption or pulling out, making it the longest-serving airline in Seychelles. The airline’s first flight to Seychelles was on May 7, 1977. This latest development by the African carrier, branded the Pride of Africa, follows the launch of its non-stop flight between Nairobi and New York in October. Kenya Airways commenced operations in 1977 and it made the Seychelles one of the first destinations it served. Kenya Airways has its headquarters in Embakasi, Nairobi, with its hub at Jomo Kenyatta International Airport.